There are so many new and promising treatments within the field of retina, and Illinois Retina is leading the way in bringing these exciting options to our patients. I believe that patients should be involved in every aspect of their care and have a thorough understanding of all of their treatment alternatives. Pauline T. Merrill, M.D., is a nationally recognized specialist in the medical and surgical treatment of diseases of the retina and vitreous. She also has particular expertise in the treatment of uveitis. Dr. Merrill is an Assistant Professor in the Department of Ophthalmology at Rush University Medical Center in Chicago. A native of Memphis, Tennessee, Dr. Merrill graduated from Princeton University with a B.A. degree in biology. She earned her medical degree from the Washington School of Medicine in St. Louis, Missouri, where she also completed a master’s degree in biomedical sciences. Dr. Merrill completed an internship in internal medicine at Good Samaritan Hospital in Portland, Oregon, and an ophthalmology residency at Duke University Eye Center in Durham, N.C. She went on to complete a fellowship in vitreoretinal surgery at the Cullen Eye Institute at Baylor College of Medicine in Houston, Texas, after which she joined Illinois Retina in 1997. A highly regarded clinical researcher, Dr. Merrill has been principal investigator in a number of groundbreaking clinical trials over the years. Recent studies have included NEI-sponsored MUST, POINT, and MERIT studies, as well as industry-sponsored trials of new treatments for uveitis including adalimumab and intravitreal sirolimus. Dr. Merrill has published numerous papers on topics ranging from uveitis and ocular complications of AIDS, to vitreous hemorrhage and diabetic macular edema. A member of the American Uveitis Society (AUS) she lectures extensively at national and international ophthalmology meetings and has written articles for several academic specialty journals. Dr. Merrill has written chapters for three books, The Principles and Practice of Ophthalmology, Curbside Consultation in Retina and Cystoid Macular Edema-Medical and Surgical Management. 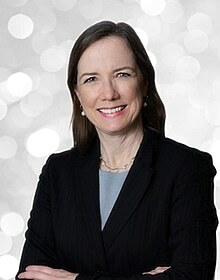 In addition, Dr. Merrill holds memberships in several professional societies and organizations, and has won numerous professional honors and awards, including the prestigious Heed Ophthalmology Fellowship Award from the Heed Foundation in 1996 and the Senior Honor Award from the American Society of Retinal Specialists. Dr. Merrill has been listed in Best Doctors in America. When she’s not working, Dr. Merrill enjoys bicycling, tennis, kayaking, skiing and scuba diving with her husband and two stepchildren.